People go to the market to buy food stuffs in different quantities. Some go there to buy in cups, others in bags while some others buy full trucks. The one who buys a truckload of rice has more than enough. It’s either he is a businessman who buys to make profit after selling the bags of rice. Or he wants to give out to those in need. One way or the other, he has more than he can consume alone for the next 10 years. My point exactly? The measure you possess is the measure with which you can give. We are ministers of Christ; labourers together in His vineyard. We are comforted so that we can comfort others. We are admonished so that we can admonish others. How much of the Word of God do you have stuck up in your spirit man? What do you spend your time on? In what exactly do you invest? Some people have clothes and shoes in their closets which they haven’t worn in years. And they keep acquiring more. They however, have not even bought a single book that will aid spiritual growth in like forever. Even their Bibles are so tattered that they have cast several layers of POP on the Bible. Stop spending your money on what is not bread. And your wages on what does not satisfy (Isaiah 55:2). You can decide that a particular amount of money from your income every month would go into buying resource materials that will help you grow. Where your treasure is, there your heart will be also. It’s time to brace up. Rise up from that seat of mediocrity. Invest in things that will build up your spirit. Fill your heart with the Word of God. His word is food to our spirits. And that’s not an idiom. The Word is food (Jeremiah 15:16). 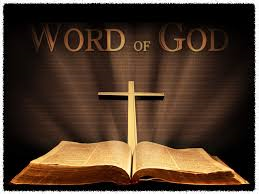 The Word of God is life and it is light. Seek the Word with all of your heart. Eat the Word. Drink the Word. Breath the Word. Wear the Word. Live in the Word. Much has been given to you. Much is expected from you. You should be cracking bones now, yet you can only still digest milk. It’s time to grow up. So that you can fulfill God’s purpose. I believe He does not want you to be a lake; always receiving and never flowing out. You should be a river. Flow out! That way, you remain fresh because there is a constant flow from the source (God) to you. Let the Word flow out from you unto others. My prayer today: Fill my cup Lord; I lift it up Lord! Come and quench this thirst in my soul, Bread of life, fill me till I am satisfied! More of You Lord I pray for!